Publisher: New York: Routledge, 2012. 279p. This volume is a collection of contributions from around the world that describe and analyze the contours and various applications of EM from an international and comparative perspective. Contributors include criminologists, psychologists, sociologists, and scholars with practical experience in social work and EM. The introduction gives a brief and instructive overview of the objectives of the volume as well as of its basic content. On the one hand, nine jurisdictions on four continents were chosen as ‘pioneers’ of EM in the criminal justice system. In order to allow for comparability, the country reports – except for the vanguard of EM, the United States – follow a similar structure. On the other hand, controversial issues are addressed, including ethics, evaluation, privatization, and offender perspectives. Altogether, the editors “do not take a definite view” towards the character and implications of EM. In fact, their goal is to contribute to “a more informed understanding” of EM among academics, policy makers, and practitioners; thus, they address a broad audience. This ambition has largely been achieved by this particular collection of 13 contributions. The vast literature on EM produced in the past three decades consists mainly of evaluation reports, descriptions of programs, and trials, dissertations, and articles on issues of concern to EM, such as surveillance and privatization. There is, however, a dearth of publications that offer an overview of the growth of EM in various countries combined with important questions about its goals. To a certain extent, this gap is bridged by the present compilation. Also, the anthology benefits from the inclusion of numerous authors who belong to the pioneering and foremost scholars of EM; they convey worthwhile insights into the development of national schemes. 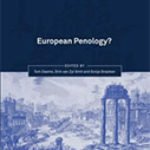 One noteworthy example is the essay on England, Wales, and Scotland by Mair and Nellis. Using detailed background information on political strategies adopted in order to maintain punitive traditions, the authors illustrate the implementation process in their jurisdictions beginning with the initial trials and including coverage of developments up to the present. At the beginning of the book’s first part, national experiences, Lilly and Nellis provide an excellent and comprehensive overview of the development of EM in the United States. 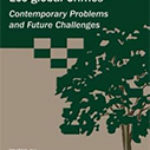 Starting with remarks about its origins, the authors outline the increasingly popular and highly diverse EM-based programs from the 1980s, the role of commercial entrepreneurs (‘commercial-industrial complex’), the technological progress (GPS tracking), and the potential of EM in a ‘surveillance society’. In their report, the authors repeatedly refer to the political and cultural setting in which EM is embedded. This approach is quite useful for readers who are not well-acquainted with the US system and are in need of more background information. In addition, the authors point out the increased demand in US politics since 9/11 for surveillance technology in a society increasingly dominated by interlocking surveillance systems. In this context, it is noteworthy that this contribution was finalized at a time when the real extent of digital surveillance worldwide was still unknown to the authors. As a surveillance-based intermediate sanction, EM represents a penal modality that is different from that of other intermediate sanctions (e.g. community service, intensive supervision without EM). One important conclusion reached by Lilly and Nellis is that EM has not as yet been a transformative technology in US penal policy due to its small-scale use in comparison to other intermediate sanctions. Furthermore, the reluctance to make use of EM in practice tends to show that it does not have the potential to replace imprisonment, even in a technology-friendly nation such as the United States. In the early 1970s, several academic pioneers of EM even dared to hope that EM would lead to the ultimate eradication of prisons. This vision met with resistance from policy-makers who, since the 1980s, have adhered to a policy of imprisonment and deterrence. In this framework, EM was supposed to stabilize this repressive course and simultaneously combat prison overcrowding. However, EM has neither solved the problem of prison overcrowding nor has it fulfilled the promise of deterrence. Finally, the niche existence of EM in the US penal system could be the reason why it is of enduring interest to only a small circle of researchers. This might also explain the limited amount of international comparative literature. The contribution by Paterson deals with commercial crime control in the context of EM. He identifies neoliberal globalization and insecurity as dual forces that promote the commercialization of imprisonment and social control. Instead of the objective term “insecurity,” however, it would be better to address subjective aspects of insecurity. The actual amount of crime in a neighborhood does not necessarily correlate with fear of crime among people. But fear of crime raises the demand for both objective and subjective security. Especially (visible) technical surveillance such as CCTV might foster both of these aspects. As a consequence, commercial markets take active part in this process by fueling the political need to enhance security by creating an insatiable need. Producing more feelings of insecurity is the basis for the proliferation of the techno-correctional industry. Hence, business is interested in maintaining this security paradox in order to explore new markets and to improve their commercial potential. Although Paterson does not elaborate on this paradoxical situation, he also concludes that the commercial ideal is to expand the opportunities to apply EM. A completely different issue is examined by Hucklesby, who undertook an explanatory study on the experiences of offenders and staff and on their attitudes towards EM. Her findings are quite fruitful and give insights into the process of desistance with special regard to EM. According to the author, EM might be habit-breaking and might encourage the building up of social capital for ‘desisters’ who have already begun to alter their deviant behavior. Huckelsby makes an important differentiation by distinguishing between ‘short-term compliance’ during EM and ‘longer-term desistance’ afterwards. In this respect, short-term compliance also has deterrent effects because monitored persons fear going back to prison and thus act in accordance with the directions they are given. In the end, one has to agree with the author who emphasizes the lack of research in this field and encourages further studies in different countries to explore the effects of EM within different supervision regimes. The last contribution is from Renzema, a veteran of EM evaluation. Since the 1990s he has been looking for valid and reliable studies on the impact of EM on offender behavior. His short meta-evaluation in this volume builds upon his regular reporting on evaluation research. Problems in comparing the variety of EM programs are the diversity of the applications at all stages in the criminal justice process, the heterogeneity in target groups and the changing technology. Furthermore, there is still a lack of evaluation studies and, in particular, a lack of studies that meet the methodological requirements of the Campbell collaboration project – according to Renzema, less than 20. Although he acknowledges incremental progress in evaluating EM, he concludes with a plea for more qualitative research. In sum, Electronically Monitored Punishment is a good and engrossing read. On the one hand, the contributions about the practice of EM in different jurisdictions and cultures are for the most part very informative and show the risks as well as the feasibility of EM in diverse surroundings. On the other hand, the thematic debates invite the reader not only to think about the potential and the limits of EM, but also to reflect on punishment and offender rehabilitation in a broader sense.